Probiotics can be a confusing concept for us users to grasp, and with an ever-growing array of foods and supplements now containing good bacteria, decisions about whether to use or buy these products may not be getting any easier. People have misconceptions about the use of probiotics, their benefits, and their role in promoting health and treating diseases. Part of the problem with probiotics is the way they are advertised. None of the supplements or foods that contain these bacteria are approved to prevent or treat specific illnesses, but manufacturers are allowed to make general health claims. For example, food makers can say that their product “improves digestive health,” a vague phrase that’s not clearly defined. 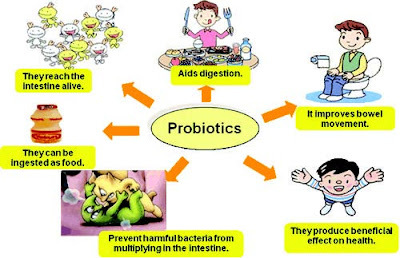 There are also many unanswered questions about probiotics, and although the science looking into these products is promising, the research is still emerging. Some questions include exactly how much of a probiotic product people need to consume to see beneficial health effects, how exactly probiotics work in the body, and which microbes and dosages work best for specific medical conditions. To help separate fact from fiction, here are five myths about probiotics in foods or supplements. Myth: All probiotic supplements are basically the same. the ways they may work. And with hundreds of probiotic species, researchers haven’t yet studied all of them. “We need to know the important features of some probiotic organisms that can help prevent or treat specific medical conditions. Myth: Probiotics can replace medications. Although some people may prefer natural treatments, probiotics have typically been studied in conjunction with medications — not as a substitute for them. People should use probiotics as additions to their existing treatment programs, or preventively so you might avoid the need for a medication down the road. Myth: Food and supplement labels provide accurate microbe counts. Not always. Food labels typically don’t tell consumers how many bacteria are in the food, and instead may simply state that the food has “live bacteria” or “live cultures.” Ingredient lists may provide more information about the organisms found in the food, such as their genus and species names. And there are definitely probiotic products that don’t have fair or accurate microbe counts. Generally, high-quality supplements from reputable manufacturers will indicate a reliable microbe count, while also listing the organisms’ genus, species and strain. But some supplements may provide a live microbe count “at the time of manufacture,” which does not guarantee this same amount will be available when you buy the product or take it. And some products might not even contain the live organisms, or the levels of such organisms, claimed on their labels. A study done in 2013 by ConsumerLab.com, an independent testing service, found that five of 19 probiotics supplements tested contained fewer microbes than advertised, delivering 16 to 56 percent of the listed number of organisms. Myth: Most yogurts are generally a good source of probiotics. People! Just because its yogurt doesn’t mean there are probiotics in it. Some yogurts that include the words “live and active cultures” on their ingredients list, offer billions of good bacteria in a serving. But not all of them do. All yogurts with live bacteria contain Lactobacillus bulgaricus and Streptococcus thermophilus, but some manufacturers add other probiotic bacteria after pasteurization, such as L. acidophilus, L. bulgaricus, L. rhamnosus and L. casei. Myth: Taking probiotics might help prevent colds. People often look for products to help support their immune systems so they are less likely to get sick. Although there’s some preliminary data that probiotics might help ward off colds, no high-quality trials support this claim according to science. Researchers are still trying to figure out exactly how probiotics might work to support the immune system, and more broadly, which conditions probiotics are most effective.